I am still excited about all last week’s shows… Such great inspirational people who touched my life. I hope you enjoyed them as well. If you missed watching or listening to any of last week’s shows, there are many ways you can still do so. Watch on YouTube and listen to the shows, updated daily, to our website. (Click Here to listen) or you can go to Apple Podcasts, Google Play Music, Spotify, Stitcher, Tunein or iHeartRadio. Search for “Lillian McDermott,” and listen to the podcasted shows, commercial free, at your leisure (Click Here to learn more). Let’s continue to Grow Together! Facebook LIVE 5:05 pm ~ I started learning more about Ayurveda. As usual, when the student is ready, the teacher appears. Just recently, world renowned Ayurvedic expert, Dr. Suhas Kshirsagar , was on the show and talked about the “circadian clock.” Wanting to learn more, I asked Ayurvedic Practitioner and founder of Healing Elements Ayurveda, Kimberly Shelpman, to help us understand how the circadian clock can be implemented in our daily routine. She will also be inviting us to her “Spring Into Health” retreat on April 26-28th! Facebook LIVE 5:05 pm – For years I have been talking about holistic, complimentary, integrated, and functional medicine. But I could not find a doctor in the Jacksonville area who met my expectations until I attended a recent ACIM conference! Since 1996, Dr. Stephen E. Grable, a board-certified internal medicine doctor and founder of Complementary Care Center, has been servicing patients from Jacksonville and surrounding areas. Dr. Grable stopped treating patients using a conventional model of pharmaceuticals to treat symptoms and he embraced modalities that help the body heal as naturally as possible. I am looking forward to introducing him to you. 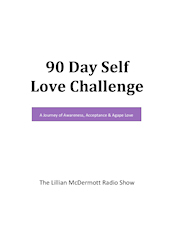 Facebook LIVE 5:05 pm ~ I have loved learning and growing on The Lillian Mcdermott Radio Show. From time to time, I want to do the show without all the timing, repetition, and interruptions that come from being on the radio. Once a month, I will pick a topic that we can all discuss on Facebook LIVE. This month I want to talk about taking 100% Responsibility and how we can truly break free from a victim mentality. I look forward to trying something new and spending time together… Just the Tribe! Facebook LIVE 8:05 am ~ Dr. Joel Fuhrman, author of more than 12 books including “Eat to Live, Quick & Easy,” believes that attaining long-term health and achieving permanent weight loss comes through healthy eating. Eating for health will eliminate heart disease, cancer, diabetes, obesity, and more. But what does it mean to eat for health? Dr. Fuhrman will share why G-BOMBS are important and his favorite quick and easy recipes!